This week bought me back to reality. It actually ended strongly to save me from a -$20,000 hole. The past 6 months have felt like the perfect portfolio with everything performing and a steady weekly profit, to be honest I had forgot what it felt like to lose. Everything had a bad week and add in a few near misses that would have turned the week into a profit and it reminds me how much luck is involved at times. Hopefully this is a small hiccup and things get back on track next week. I have been testing some Australian Horse racing services over the past month and have not had the best results with them. I will be posting once a month about the Horse racing results as I feel with such long odds, the minimum time frame should be a monthly update. The two I am currently following are not yet recommended as one has made a massive loss and the other is a little up. But the results are not the important thing, it is more about how they run their services and I will have a few things to say about that. I have found it much easier to get on for largish sums then was the case with the UK betting, so there is some hope here. I have also had a few accounts closed which hurt, but this was because I bet very early prices that came in massively. Exciting times and hopefully I can find us all some solid returns. I really think the potential for +10% returns are possible with a good racing tipster. More in the coming weeks. Onto this weeks losses and the AFL just couldn’t get going this week. It is very lucky to only be sitting on a $5,100 loss as a $8,000 line bet won by half a point. The other team had a kick for goal in the last seconds and thankfully sprayed it wide. I do know of a number of people who either were too slow and got the losing line or took the risk for higher odds and they would be cursing Hawthorn right now. Just shows how important it is to get the best possible lines and prices. The Rugby model made a decent profit, bringing in $1,100 and the French Open has started well with $3,100 profit over the first two days. After noticing a big favorite bias in the last few seasons, I have changed my approach to only bet on model favs or long shots with an overlay over 100%. Hopefully this changes my Tennis fortunes this season. The NRL model has been poor the last few weeks, this weeks loss was $1,200. 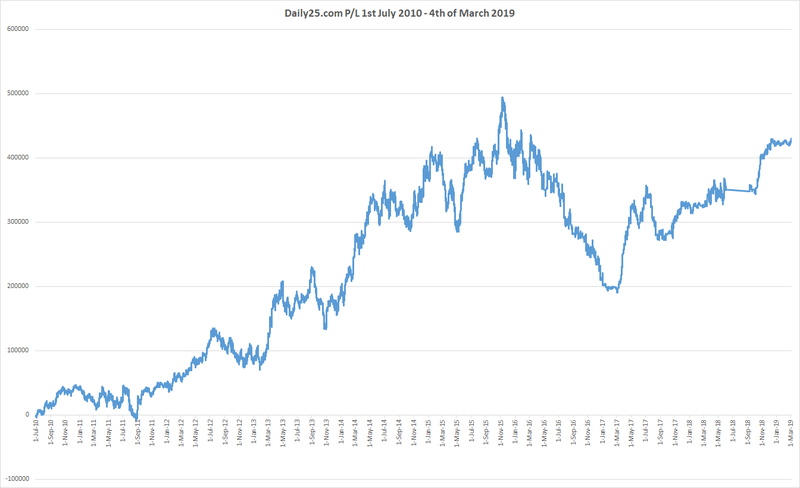 I have now also added the Sportpunter MLB totals model to my portfolio and I joined after two days of perfect results, you already know what happened the day I joined… But over the last few days it is down just $350. I am now following 3 separate MLB tipsters. One only tips H2H bets, I am only following totals with Sportpunter and the third has both H2H & Totals. The Pro computer gambler model comes out the latest and so if that offers up an opposing bet I will not place it. The “other MLB” model lost $200 this week and PCG lost $650 but as the emails come out at 3 am my time and some games start before I am awake, I have missed a number of winning bets. I have hired a programmer to fix this for me and I’ll talk more about that in the coming weeks also. The other new addition is Jason Kelly Golf. I have been told about him from a fellow bettor and am also looking at Frazzled from the Betswot team. I believe I will follow both of them. Jason lost $650 this week. Finally onto ClubGOWI this week and a $3,700 loss. Nothing seemed to go right this week and there were a few big golf bets that almost got over the line. Was a very frustrating week and I know I had convinced at least 5 of you in the last month to join the service and it has been on a horrendous run. This is just something I have noticed from the service and while I feel bad that you have joined at a poor time, all I can say is keep the faith, this is a long term profitable (I hope) tipster, and as long as you set up your bank correctly then this should just be a small hiccup. I can imagine this service would have a very high turnover rate as he goes on some long draw downs followed by some massive upswings. It’s just a matter of when you join. While my return is nothing amazing after 6 months, I’m sure by the end of the year I’ll be very happy I stuck it out. So a week that brought me back to reality, the final loss doesn’t look so bad, but I was in a pretty big hole at one stage. Hoping the French Open goes well and AFL is back to its best with the return to a full round. Heading into the final month of year 4 and anything over a $100k profit will be fantastic. Hi, maybe you wrote this somewhere but I didn’t see it. What is your unit size, or at least an Average (because I guess you use different amounts for each service) ? I’m just curious to know how much is -20k in units but I understand if you don’t want to go into details. For most services my unit size is between $400-$500. My average betsize over all models is close to $600. My average betsize for something like AFL is closer to $3,000. Thanks for your answer, Steve. Congrats for your blog, it’s really interesting for those of us that are trying to be successful punters. My first year was great, and now I’ve been struggling for the last 4 months so it’s been “inspiring” to read how you were able to hold during the tough periods. I read that after 18 months you were back to 0 at one point !! Yep, if you have a look at the graph on your left you will see that after 14 months I was back at zero. So really my first year and a bit returned no profit. But in your first year you will make a heap of mistakes and learn from them. Year 4 I went on another horrible run, losing 100k in a few months. The key is being able to deal with these runs. Yes, that’s what I did. I looked at the graph and then read your posts from those weeks/months. I’m in my 16th month now and I’ve lost about 50% of what I had made in the first 13 months…so I’m trying to keep my head up, learn from my mistakes and get through this bad run without making it worse. Actually it’s less than 50% in units, but I had just raised my unit value when the bad run started,…awful timing !! Just make sure you are following proven tipsters. While it looks like I stuck it out, I was also doing a lot of analysis when I was losing and came to the conclusion that it was just a bad run. Sometimes it could be down to following bad tipsters. I follow very few and I trust them 100%. I also take my own bets and that’s where the problem has been lately. Do you take your own bets too or just follow tipsters ? Just follow tipsters, I don’t have the time or skill to work out my own bets. You need to stop placing your own bets. simple as that. I only bet on the 3-4 leagues I really know (my local leagues), the problem has been mostly my money management on those bets. Luckily the season is over, and hopefully next season I won’t repeat the same mistakes. 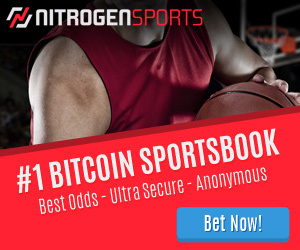 Yep, just track your bets and results and see if they are any good.